After a short hiatus, I figured I would have to post something really good to make up for it. To do that, I have to write about something I am passionate about. The long and short of it is that when you are logged into any Google service, Google will be able to capture and aggregate data from any of their other services into one general, holistic user profile. At first glance it doesn’t seem like a big deal. Heck, most of you reading this probably assumed that they did this anyway. This is a very big deal – but not a bad thing. Years ago when Google first launched, things like SEO really weren’t all that effective due to the infancy of the technology and frankly, there was a LOT less content out there to sift through. Today we have all suffered the frustration of searching for something several times before you even start to find what you need. I personally have found Google search, albeit the best out there, to be less and less effective. I have been getting more and more of what I need through other channels because of it. Most people don’t get past page one of a Search Engine Results Page (SERP) – the initial results you get when you search for anything on any search engine. As time goes by, pages two through infinity will just continue to grow and grow. Bottom line: the amount of content out there is growing at an exponential rate. There has to be a better way. Not terribly long ago, Google changed their secret sauce, their algorithm, to become even harder to game. You can read about it HERE. For years, there have been many companies out there that have made a great living off of SEO. 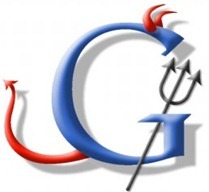 I’m not here to debate the ethics or good vs. bad SEO. 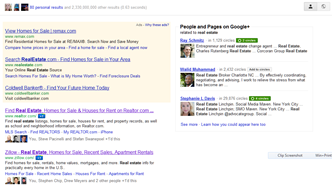 The objective of what Google is doing is to get you the best results when you search for what you are looking for. If you search for pizza in Little Italy and you find anything other than that Google is not doing their job. I think it’s clear on which side of the fence Google sits. With the release of Panda, it made its product that much better. This still was not enough to compensate for the massive amounts of content that are being created every day due to social channels and mobile phones. By being able to capture opinions and data from users and connecting the dots through personal connections online you get the crux of this post. If I am looking for something online and the people in my networks have intentionally given some content their seal of approval, said content should get greater weight when it comes to me. If I search for real estate in Chester County I would be very interested in seeing what Joe has approved rather than being left to my own devices. You should be nodding your head right now. obvious problem with me looking for information on Google is that not all content is consumed on Google.com. Perhaps what I am looking for is something that was created or consumed on a different Google service or different network altogether. +1 is a great little tool for users to proactively push their opinions however, there are places like Twitter and Facebook where the +1 just doesn’t exist. If I am connected to someone on Facebook then why wouldn’t I want the benefit of their experiences there as well as where the +1 is available? At some point in the next year when you are looking for a good plumber, school, or Italian restaurant I can assure you that this “evil” will be looking pretty good. When you are looking for just about any information on the web, this will help. Yes, it does give Google the ability to see information that you might normally not volunteer but I believe this will help more than hurt – unless you are browsing morally questionable content up on the web. If this is the case, or if you are just uncomfortable with any company having this level of information about you, you can always just log off. Then you will only have to worry about your cache and browsing history. Alternatively, you can always deactivate your Google account and all of the free services they offer and just don’t use them. At the end of the day this is their service that they are giving all of us FOR FREE. As I alluded above, when people are looking for local goods and services, people who like your content will help your ranking. The restaurant that has passionate fans will help them be found in places other than Yelp, Facebook and Twitter. In fact, aggregating that data will take those ratings and mentions throughout their entire social experience and potentially make the Google values cumulatively stronger. As search gets more and more hyper local this will have more and more of an effect on how people find things. Getting onboard now will only help you, as a business, in the long run. I don’t anticipate enough people will feel strongly enough about this issue to forsake Google and all that they offer. With all of the information out there on the web, sifting through it will be a continuing challenge so this debate is far from over. Google is important – even if you do get the feeling that they are a bit of a Big Brother. I like this explanation, Patrick. It makes me feel a bit better. Not that I would consider leaving Google because of privacy or search issues but I didn’t understand the big picture as well as I do now. Thanks! Patrick, this post addresses a lot of the objections I am hearing about privacy. We have all known since the early days of the Web that it’s all about the Search. Even though we can never get as much IRL as we would like, we ARE all social animals. 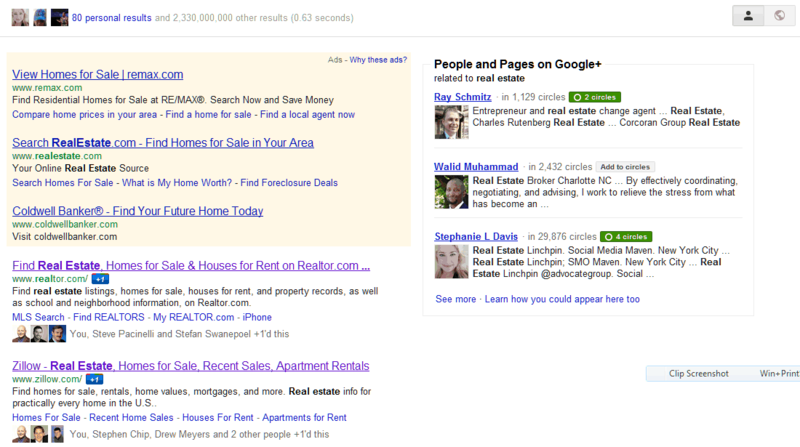 I like the Google social search. I am impressed that Google has a very useful privacy tools page http://www.google.com/policies/privacy/tools/ a single location to tweak all your privacy settings (even some I have never heard of). If you are going to put yourself out there in the world to do business, or just to be a social butterfly, maybe its best that you tweak all your social profiles enough to show the real you without broadcasting the intimate details. And, yeah, Google IS free. It’s their court and their ball. It’s your choice to play or go home and hide. @StephLDavis We are so lucky to have such a great friend like you Steph. Thanks so much! @hpgretech thanks for that! You rock!